I’ll admit it, I’m a bit of a face mask addict (that should be evident by all my diy face masks on this blog!) I love that there are so many different ingredients that I can combine to make nourishing masks for my skin. 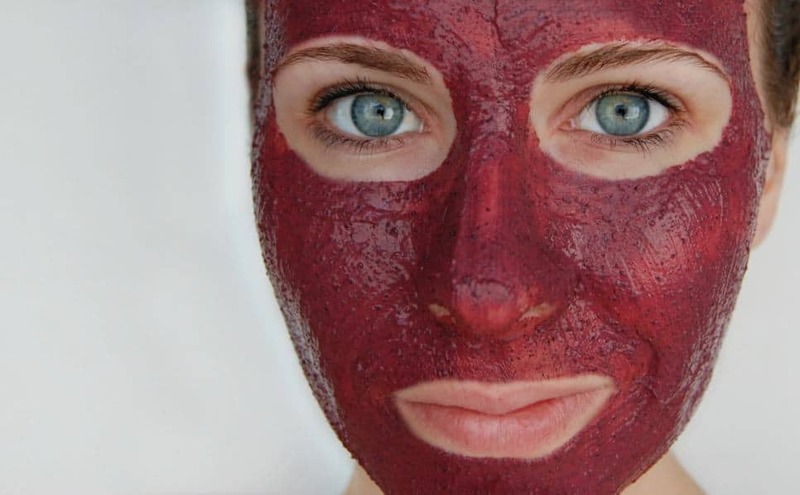 I get extra excited when the face mask is a fun color… like this antioxidant hibiscus and clay face mask! This face mask is a gorgeous shade of pink! I just can’t get over how fun it is to make and wear! It also smells kind of yummy because well… hibiscus is pretty yummy! It always reminds me of vitamin C, which makes sense because hibiscus is actually pretty high in vitamin C! Did you know that vitamin C actually helps your skin? We always hear about it being for helping us when we are sick but nobody seems to mention that it’s great for skincare! Hibiscus is high in vitamin C and vitamin C helps strengthen your skin, protects it from UV damage, lessens hyper-pigmentation, helps fight acne, and tightens the skin. Hibiscus has been nicknamed the “botox plant” because its anti-aging antioxidant properties help improve the elasticity in the skin. I’m staying far away from botox but you can bet I’ll make use of hibiscus! 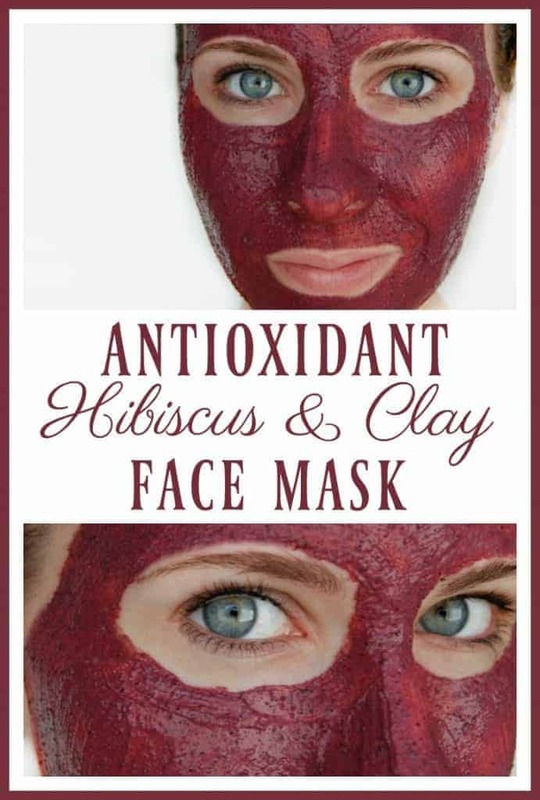 This antioxidant hibiscus and clay face mask uses hibiscus powder. You can by it in powdered form but it’s also very easy to make your own (just in case you have dried hibiscus flowers and do not want to buy the powder). 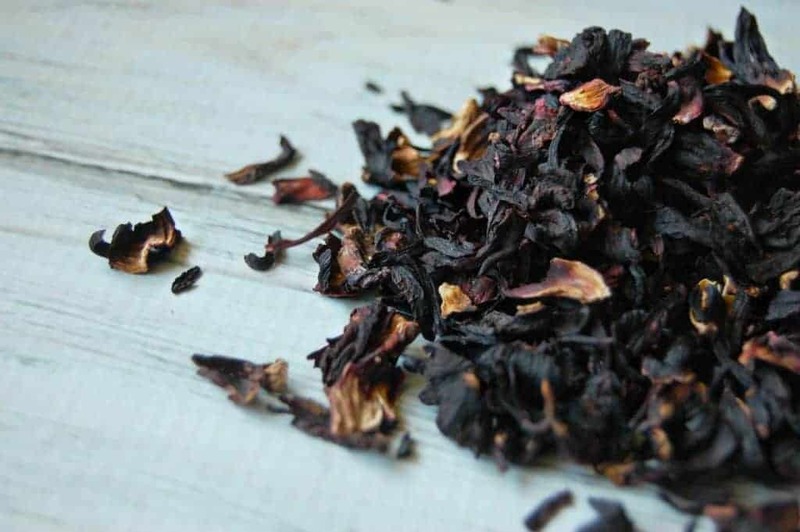 Simply put dry hibiscus flowers into a coffee grinder and process it until you have a fine powder. Homemade hibiscus powder might not be quite as fine as store bought but that’s not an issue. Bentonite Clay is the other ingredient in this antioxidant face mask. Bentonite clay is amazing for soaking up any impurities in your skin. It helps detox your skin and naturally exfoliates at the same time. Mix hibiscus powder and bentonite clay in a small bowl. Mix in the hot water until a smooth paste forms. Apply to clean face and allow to dry. Once dry, remove by washing with warm water. Will this keep very well if given as a gift? I’d be leery of giving it as a gift if the water is already mixed in. But you could give just the dry ingredients with instructions on how much water to mix in. For how long can I store this?